School supplies, clothes, shoes, activity fees – here's how to cut all those back-to-school costs, so you don't go broke sending your kids back to school. My kids' school sends a copy of next year's supply list home on the last day of school. This gives me all summer to shop for deals, and even allows me to shop at yard sales. If your school system doesn't do this, you can still save by stocking up on staples like binders, paper and glue whenever you come across a bargain. Certain items will always be on the list. Don't treat that school supply list like a shopping list. If you already have what you need at home, there's no need to buy it again. Backpacks, lunchboxes, pencil pouches, rulers, calculators and pencil sharpeners are just some of the items that can be used for multiple school years. Many technology and clothing companies offer discounts for students. Just flash your school I.D. and you could save up to 40%. Need to upgrade your kids' technology? Staples, Best Buy, Amazon and many other companies will pay you for your old stuff. It's still scorching hot when the kids head back to school, so don't feel like you need to buy new school clothes right away. Have them try on last year's clothes to figure out what they really need. Then shop the back-to-school clearance sales and fall consignment sales to get everything on the cheap. Invest in well-made school supplies (and clothes), so you have fewer replacements to buy mid-year and less to buy next year. What to look for when you're shopping: backpacks with lifetime warranties, fabric binders and pencil pouches and plastic pocket folders. While you may be tempted to buy everything and get it over with, you'll score better deals, if you watch the sales flyers and buy just what's on sale each week. Many office supply chains run penny sales in the weeks leading up to the start of the school year, and it's amazing how much of that supply list you can knock out just buying these items. 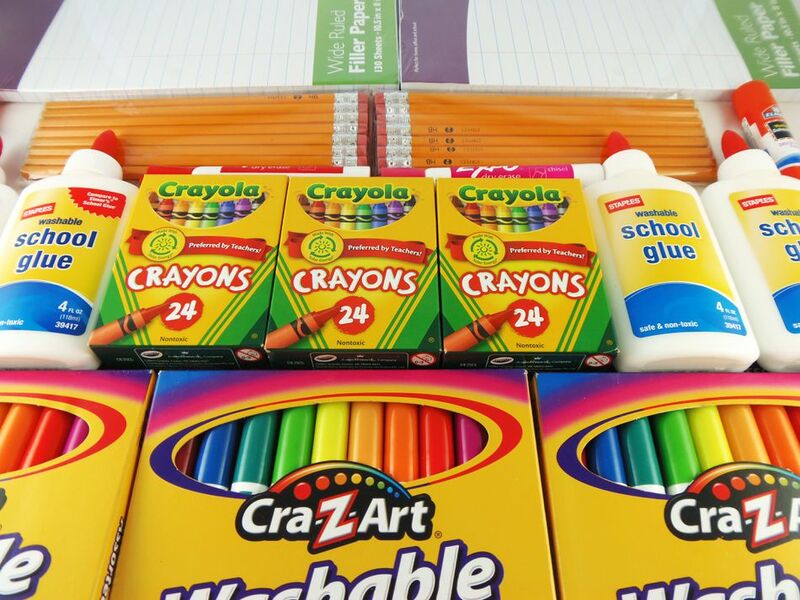 Decide where you're going to buy your school supplies and clothes. Then, pick up discounted gift cards for those stores on Gift Card Granny. You can even buy ecodes, if you prefer to shop online. Before you fork over big bucks for your child to participate in sports, dance, music lessons or some other after-school activity, do a bit of research to see if there are any cheaper options in your area. You may find that your local parks and rec or community center offers free or deeply-discounted programs that are just as good they ones you were about to pay for. Grocery stores also run back-to-school sales. Load up on all of your kids' lunch box favorites while they're at their lowest price of the year, and be sure to check for coupons before you shop. If it'll go in a lunch box, there's probably a coupon for it.